Compare the graph of a linear function, the graph of an absolute-value function, and the graphs of their translations. 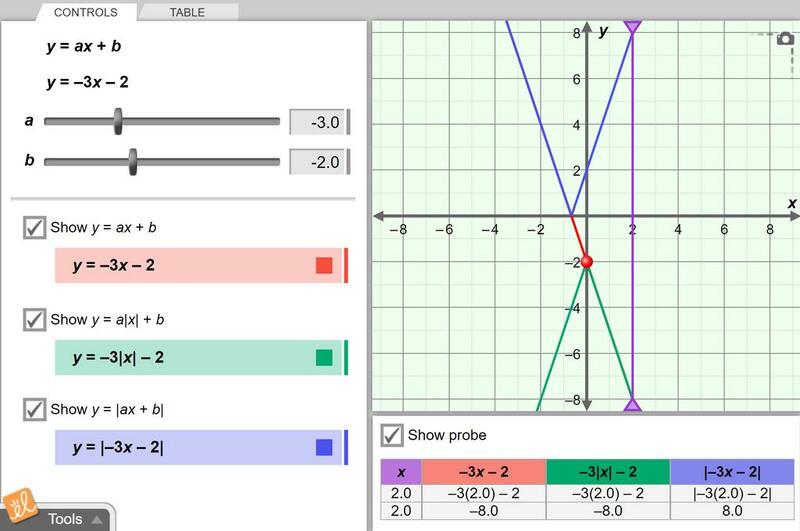 Vary the coefficients and constants in the functions and investigate how the graphs change in response. Using Gizmo graphical approach enabled my apprentices to acquire a clear conceptual understanding of the... (more) lesson.